Hubbell-Wiring HomeSelect® 3-Gang Standard size blank wallplate in white color, features durable nylon construction with smooth finish. 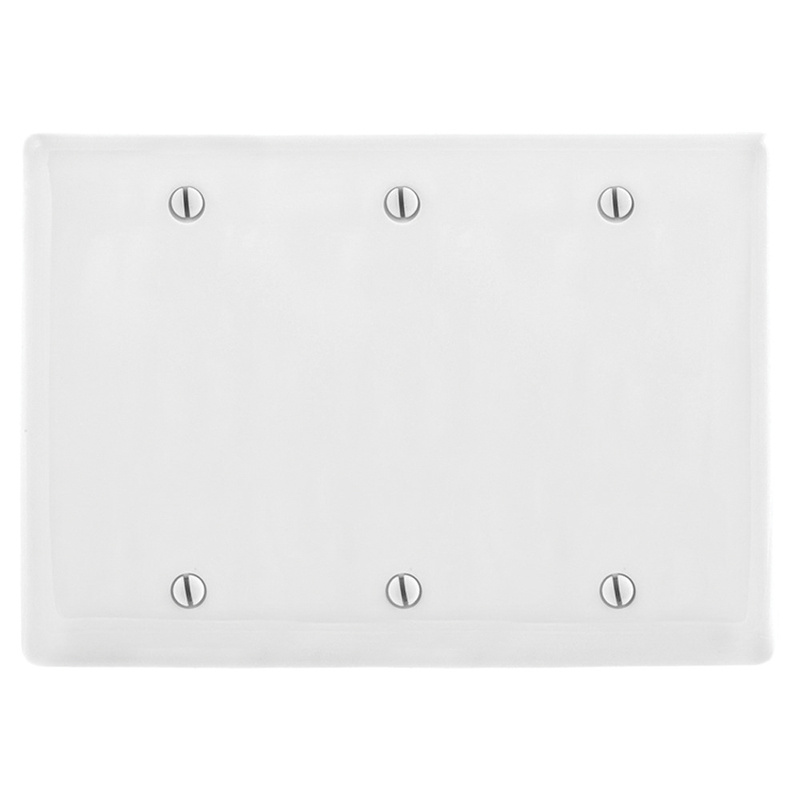 Rectangle wallplate measures 6.5-Inch x 4.62-Inch x 0.25-Inch. It withstands temperature rating of -40 to 85 deg C. It has steel painted, slotted head mounting screws and reinforcement ribs for extra strength. Wallplate features rear-loading faceplates to provide a sleek, secure installation. It is UL94 V0 flammability rated to withstand harsh environmental conditions. Blank wallplate is UL/cUL listed and meets ANSI/TIA/EIA standards.